Since plein air is not my favorite preference, I took some photos, and picked this view to paint. 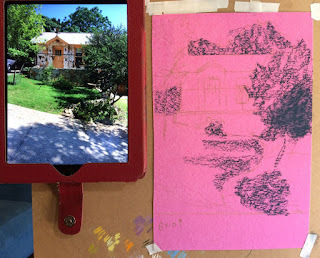 I had brought some random sheets of stuff, anticipating that I might do some experimental work. 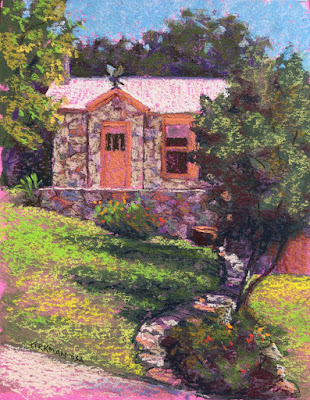 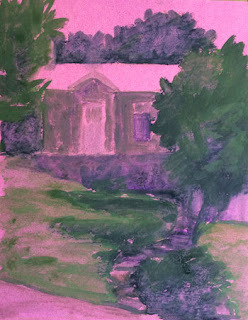 I painted the house on some pink sanded paper which unfortunately I can't remember what it was, but it had a very bumpy texture that worked quite well with the impressionistic style I was striving for. I wanted to keep it loose enough to at least look like it might have been done en plein air. 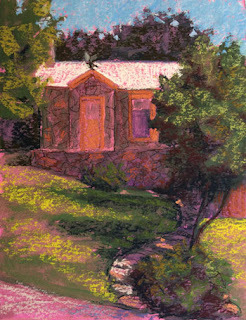 Pastel under painting washed in with water. 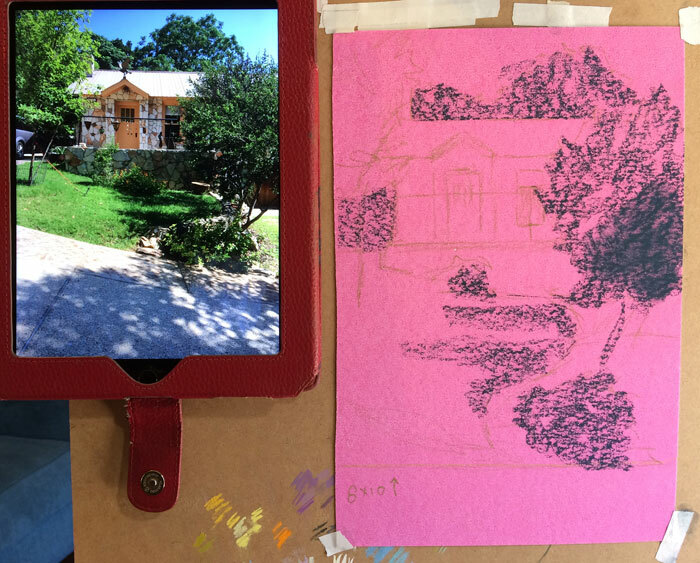 If you're curious about the house, you can reserve it for your next Hill Country stay on Airbnb or on VRBO.